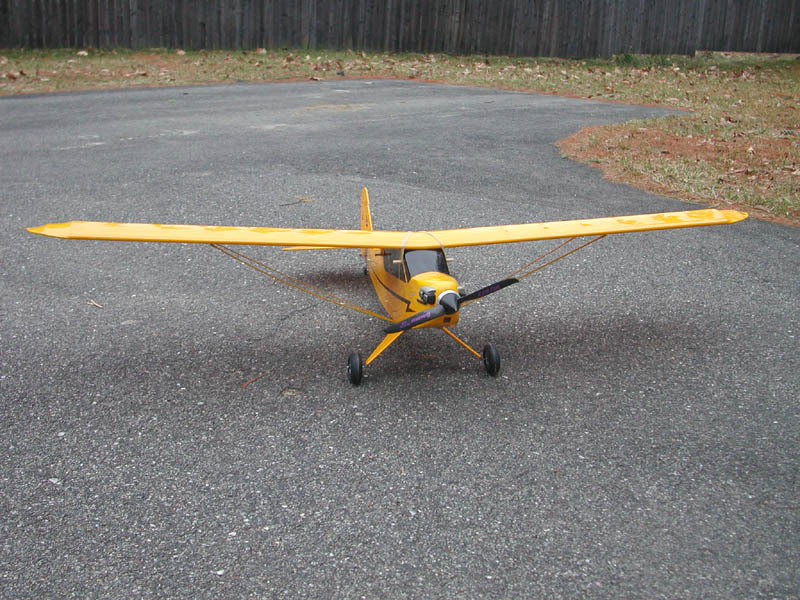 Cub sold at auction to make room for new planes. 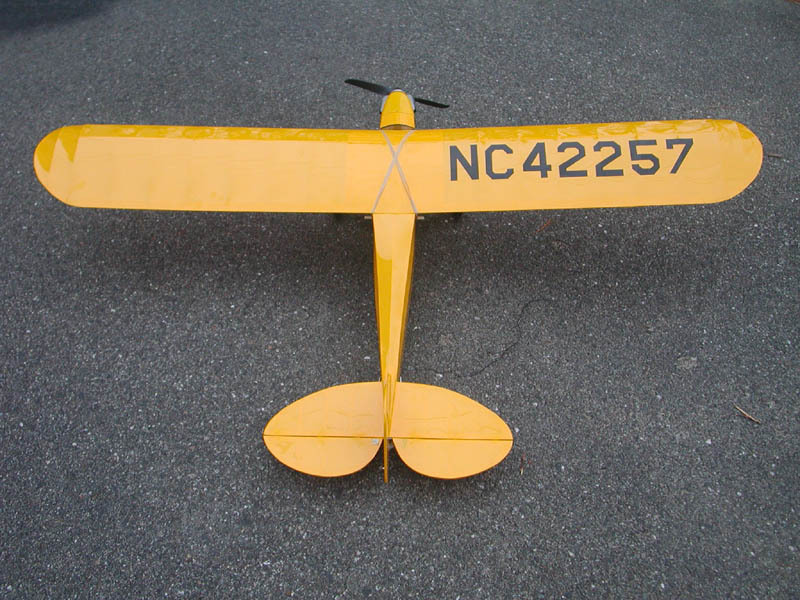 Flew at NEAT fair on Saturday in the wind. 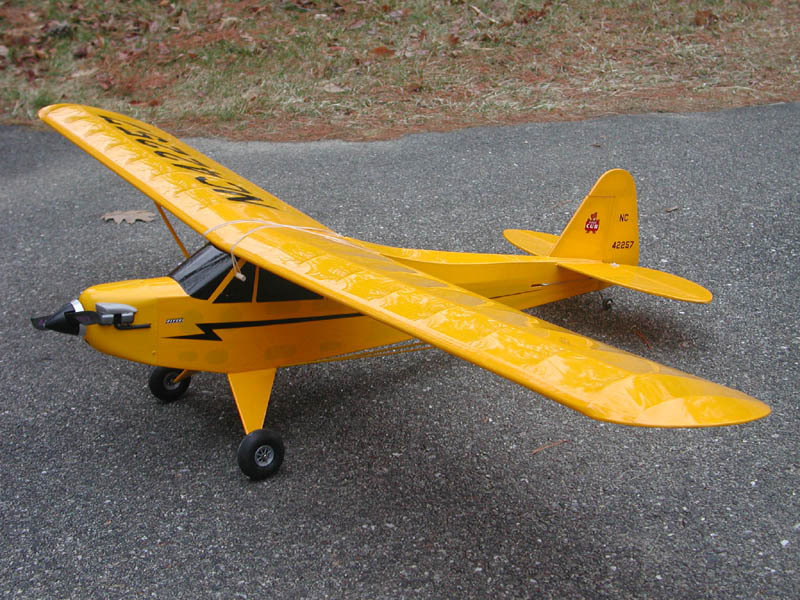 The cub with the Magnetic Mayhem motor handles the wind great. Plenty of power to get up to the top of the ridge at NEAT and do some slope flying. Powered it back down to the field when the wind started to push me too far north. Landed without incident. Since I've had the ESC out of the Electricub to use in my Kwik-E, I decided to put my Magnetic Mayhem direct drive in it so I could fly. I started with 8 cells and a 8x4 prop which worked great until I ground looped on landing and broke the prop, so I switched to 7 cells and a 9x4.7 prop (all I had) until the 8x4 replacement props arrive. Both combinations work great. I even had enough confidence in the setup to let the 'new guy', Tim, try it out. 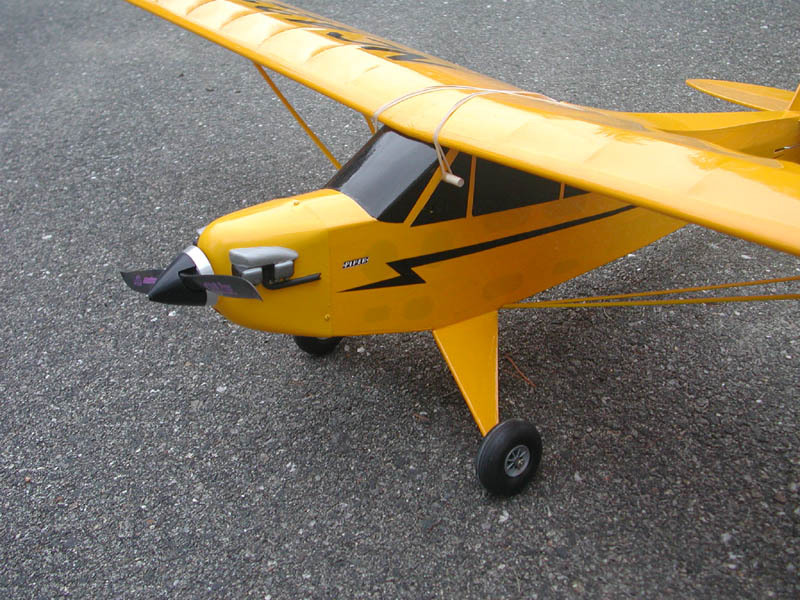 Flew the Cub at the Misfits field. First flight with the 8x1700 pack and I was all smiles. ROGs with judicious use of up elevator while taxing. Flight performence was excellent. Tons of extra power, eoough to to continuous loops easilly, even has some vertical. Larger packs didn't give any improvement in performance. 9x2400 and 10x2400 seemed the same since the weight of the extra cells counteracted the extra RPMs and the thick airfoil doesn't really take advantage of the extra pitch speed. I'm planning on breaking the packs down to 8x2400s and I'll find something to do with the spare cells. 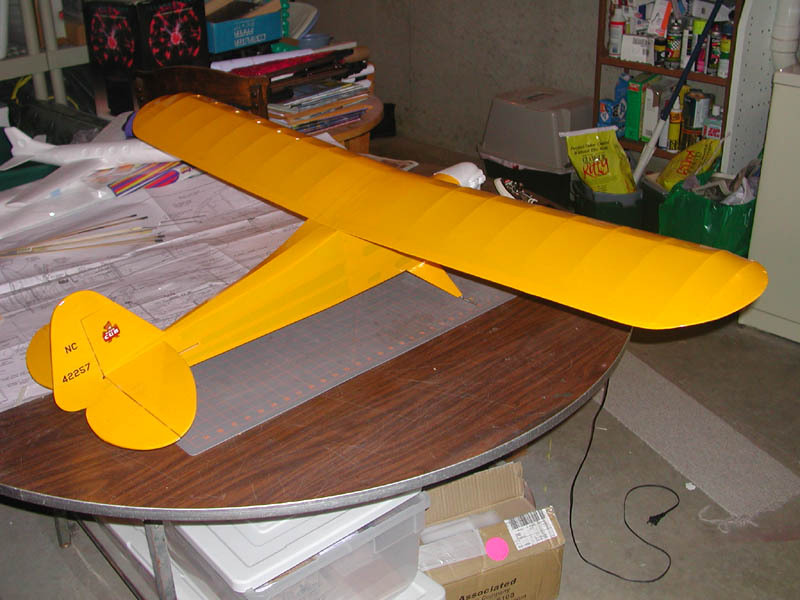 With the exception of getting a more scale spinner with a shaft long enough to mount a nice wooden prop, this plane is done. 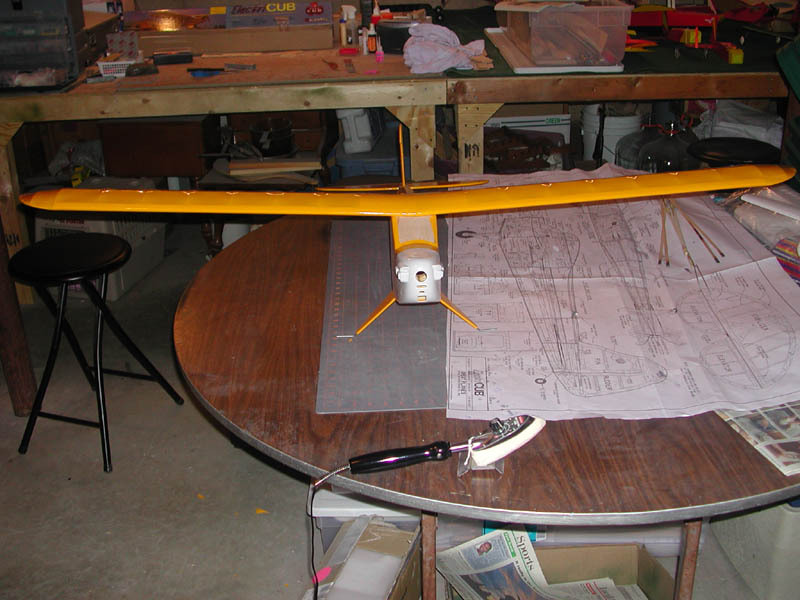 I'll set up the radio and it will be ready for maiden flights. All framed up and covered. I still have to do all of the black trim covering for the windows, lettering and lightning bolt. 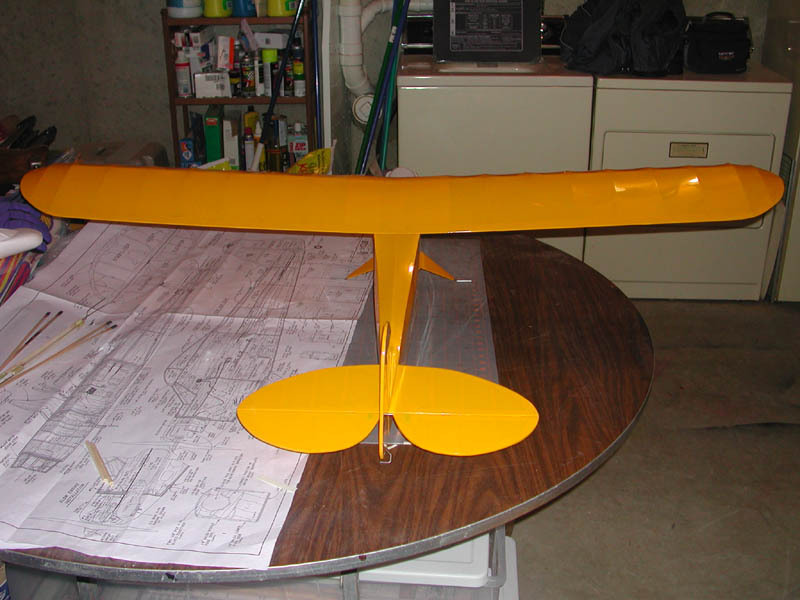 All equipment has to be installed and the cowling needs to be painted. I also need to run to the hobby store to buy a few misc. 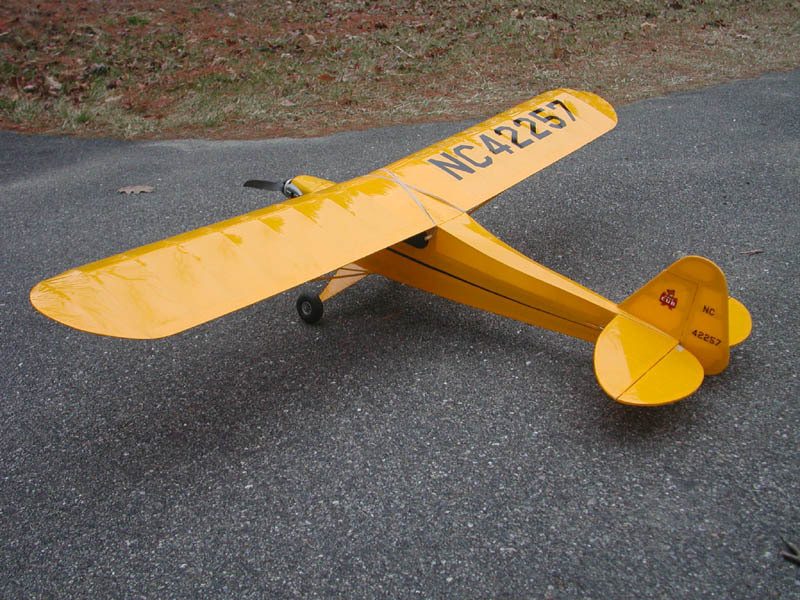 pieces like wheel collars, a tailwheel, etc. Construction has begun. 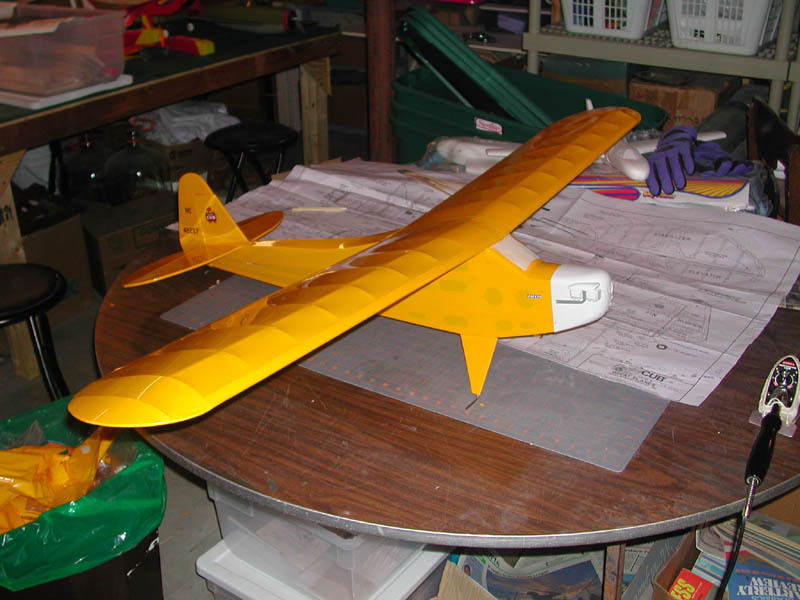 Fuselage is almost finished - boy these larger planes go together faster - less fiddly. I could build a house with all the plywood in this kit! I'm doing my best to lighten it up by leaving out the unnecessary plywood parts and substituting where appropriate, lighter stock. No photos yet.